Hello Friends! Hope you are all having an Amazing week…so far! Oh, trust me…they taste even better than they look! And…you make them ahead because they have to freeze – Perfect for parties and Barbecues! With the Summer season winding down, we are spending as much time as possible outside. I’ve been keeping a few of these in the freezer ready to enjoy in the evenings while the boys play outside. You can tell by the ingredients these are going to be good, right! 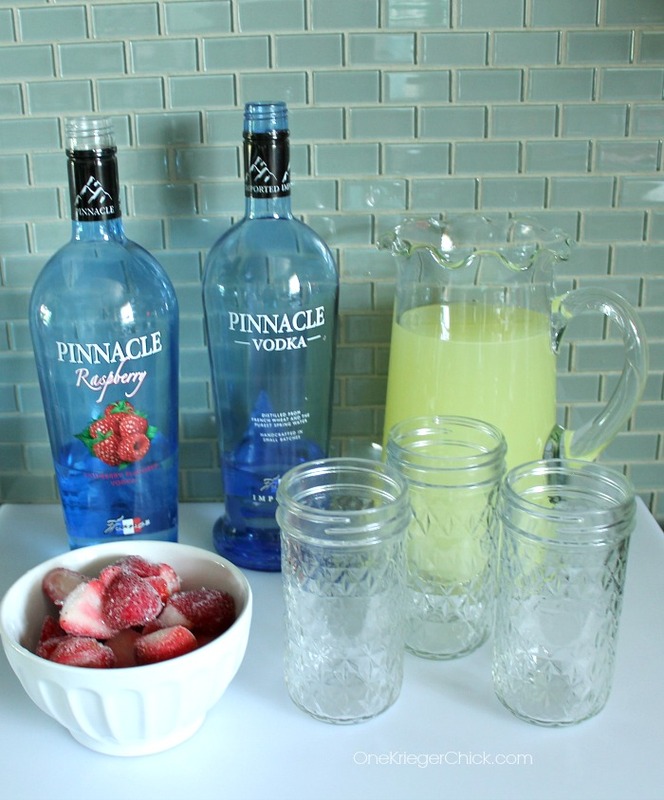 Start by pouring 1 shot of Raspberry Vodka and 1 shot of plain Vodka into each mason jar. 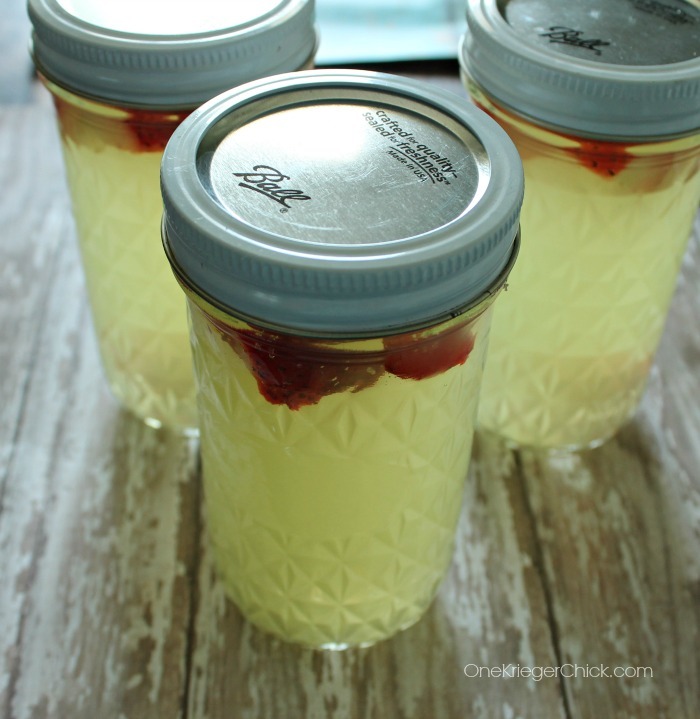 Then, fill the mason jar to the top with Lemonade. Make sure to leave enough room for some berries. Strawberries are perfect! Mine were already frozen, which worked out great. Place the lids back on the jars tightly. Give them a little shake to mix up the ingredients. Then pop them into the freezer until you need them next. Quick and easy, right! 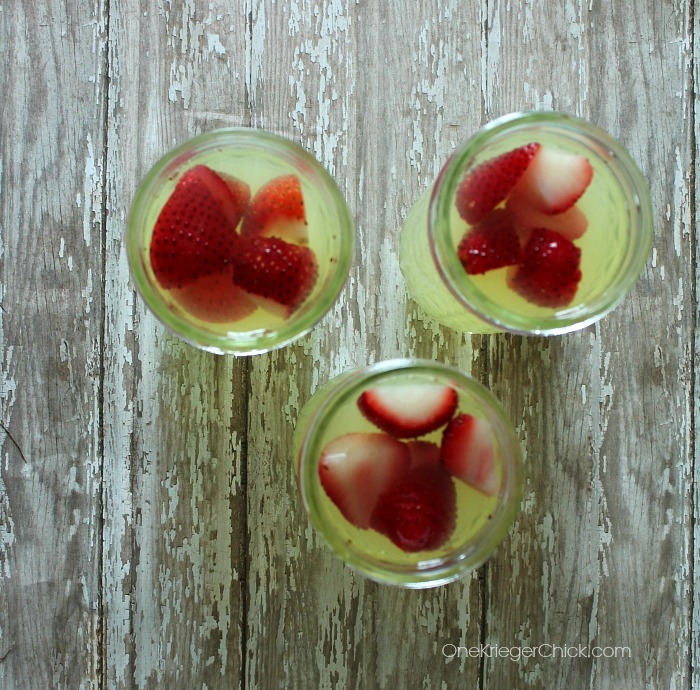 And if you want to make a kid-friendly or non-alcoholic version, just leave out the vodka. 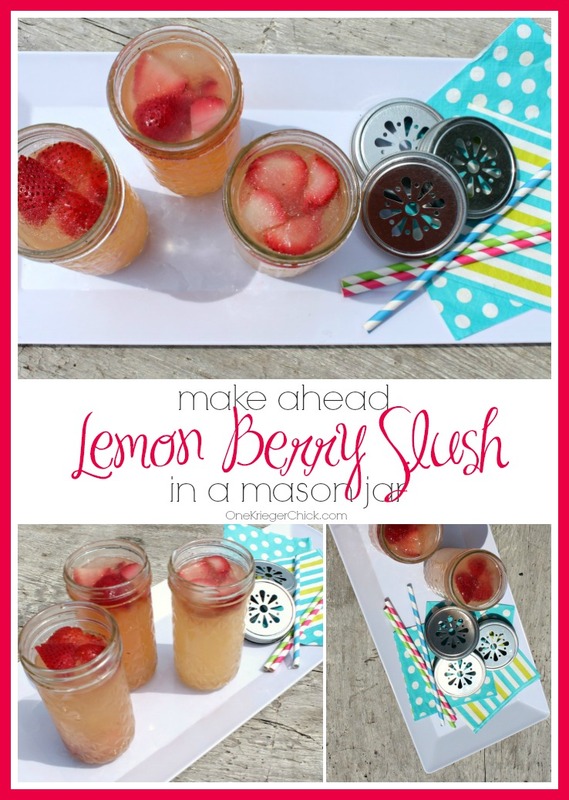 Maybe add a bit of strawberry juice or pureed strawberries for berry flavor.